Latino-Americans have influenced American style for decades. The Pachuco style of Chicanos in the 1940s made zoot suits and pegged pants a thing. We definitely felt it in New York's vibrant Puerto Rican population as well. We've appropriated zig-zag shoes, simple flannel shirts, beanies, and can even attribute Tyler the Creator's trademark knee-high tube socks to kids of Latino descent. So, in honor of National Hispanic Heritage Month (September 15 - October 15), let's take a moment to applaud Latino-Americans that have made positive contributions to the world of style. 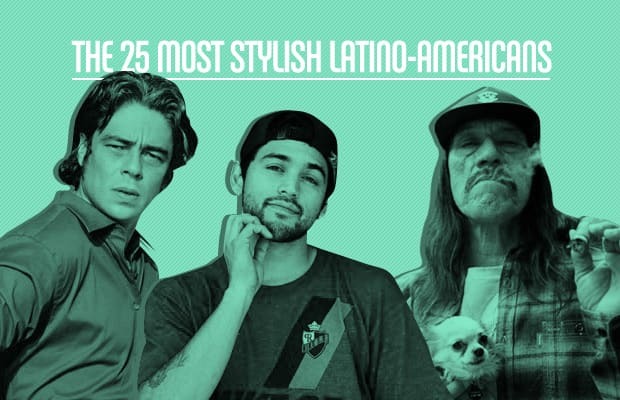 From iconic baseball players and skate legends to bombastic musicians and award-winning actors, here's our list of The 25 Most Stylish Latino-Americans.